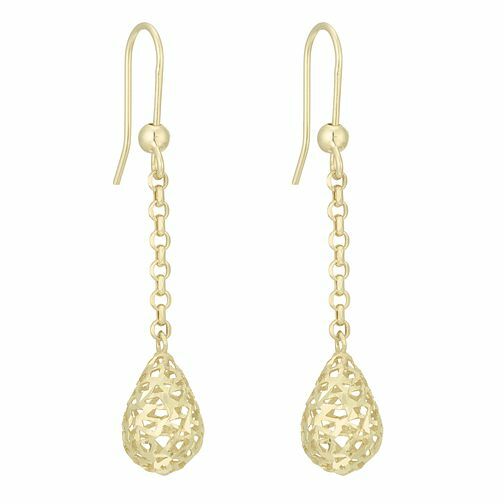 An elegant pair of 3D cut out long chain ball drop earrings in classic 9ct gold. Perfect for every occasion. 9ct Gold 3D Cut Out Long Chain Ball Drop Earrings is rated 4.0 out of 5 by 2. Rated 3 out of 5 by Anonymous from lovely matireal i like these but they are very tiny not like the picture at all very disappointed i have always praised H Samuel as i have bought from them before and i love H Samuel but now i am housebound its very hard to no the size.